Since its 2010 debut, no tablet has come close to unseating the mighty iPad. The many contenders can all be tossed in two piles: "Me too" devices or cheaper/smaller tablets. Neither has dealt Apple (AAPL) a serious blow, and the iPad Mini -- unveiled on Tuesday -- is likely to solidify Apple's dominance. But Windows 8 offers a compelling third way to take on the iPad: by putting a full PC experience on a tablet. Most tablets currently on the market are complementary devices. They have bare-bones operating systems that make on-the-go media consumption and Web browsing a cinch. For most users, they haven't yet replaced the need for a PC. Few people create documents, spreadsheets or presentations on their iPads, and even fewer run any serious business applications on them. Today's tablets don't multitask well, and IT departments that want to dig deep into the operating system to customize settings aren't going to have much luck. You still need a PC to do that. 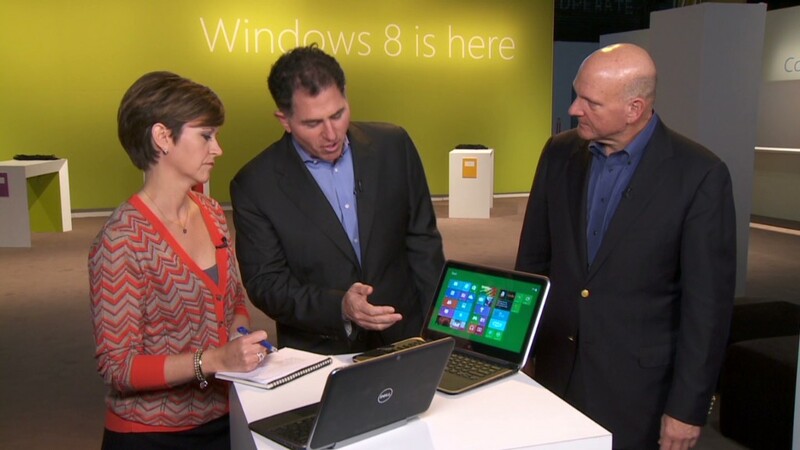 The solution Windows 8 offers is inspired -- and controversial. The new operating system, which goes on sale Friday, has two modes: the "Start screen," filled with large app tiles, full-screen apps and hidden menu functions; and the more traditional "Desktop mode," with smaller app icons, taskbars and menu ribbons. Both modes work with touch or a mouse. Unlike Apple, which makes separate operating systems for mobile devices and Macs, Microsoft (MSFT) thinks users want a full, "no compromises" PC experience on their tablets. Will buyers follow Microsoft's lead? Analysts are divided, and the range of estimates is staggering. IHS iSuppli forecasts that there will be nearly 20 million tablets in use by the end of next year that run either Windows 8 or Windows RT (a stripped down version of Windows 8 that does not support legacy Windows applications). That would be a nice start, but it's nowhere near the 73 million iPads Gartner expects Apple to sell next year. There will be 118 million iPad users by then, IHS estimates. Other analysts are far more conservative. Forrester Research thinks Windows 8 and RT will be on a combined 7 million tablets by the end of next year. IDC is even more pessimistic, forecasting that just under 5 million Windows tablets will be in use by the end of 2013. Though its immediate prospects seem bleak, most analysts think Windows will eventually gain steam. By 2016, IHS iSuppli thinks Windows will control 25% of the tablet market -- a strong competitor to Apple, which will still control nearly half the market, down from its 70% share today. 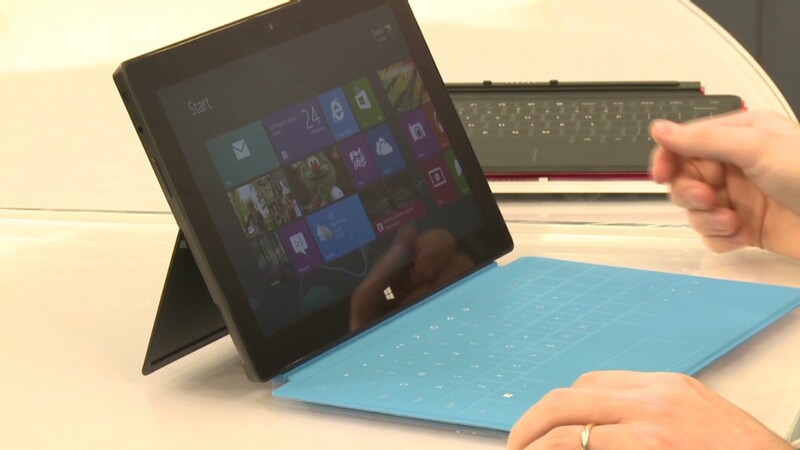 Forrester predicts that Microsoft will have a 27% share of the tablet market in 2016, compared to 53% for Apple. Windows tablets will need beautiful hardware, a robust app store and aggressive marketing to really take on the iPad. "Microsoft needs to make users want to see the products, pick them up and touch their screens," says Michael Silver, analyst at Gartner. "Users have to go into the store wanting Windows — a tall order." Microsoft's own tablet, the Surface, is off to a rocky start. It's backed by an expensive advertising campaign, and its kick-in-the-PC-industry's-rear strategy has sparked a batch of design innovations. Tablet PCs with backflipping keyboards, rotating screens and pop-off displays -- some of which look eerily similar to the Surface -- are making their way to store shelves. That's exactly what Microsoft hoped would happen when it flung down the gauntlet at PC makers. Microsoft's Windows Store app marketplace is still sparse, though -- a fact mentioned frequently in Surface reviews. It's a chicken-and-egg problem. Developers won't build Windows apps until millions of customers have mobile Windows devices, and customers are leery of buying devices that lack popular apps. That's an obstacle Microsoft has battled for two years on Windows Phone, which currently has a scant 3.5% market share, IDC estimates. Still, Microsoft has plenty of partners joining in its tablet push. Dell (DELL), Samsung, Toshiba, Asus, Lenovo and Hewlett-Packard (HPQ) are all releasing new Windows 8 devices, and Microsoft's Surface Pro will go on sale in January. Analysts say there's an underserved market of buyers looking for a tablet they can actually do work on. If Microsoft can connect with those customers, it might finally make headway in a market that's been passing it by. "Windows 8, together with Office 2013, will be perceived as a more functional device than a consumer tablet," said Rick Sherlund, analyst at Nomura Securities. "We think of this as being about more than a pretty face."